New York. Farrar, Straus & Giroux. 2017. 275 pages. Slight Exaggeration announces itself playfully, in a faithful translation of the Polish opening: “I won’t tell all regardless.” “I tak wszystkiego nie opowiem” answers an unuttered promise to tell more, presumably, than we have already got—but even so (“I tak”), this will be no tell-all confession. Is this an indirect commentary on Adam Zagajewski’s international fame or perhaps on the autobiographical nature of his writing, letting us know that it may conceal as well as reveal? Or, perhaps, is he calling attention to our late-contemporary, postrecession, reality-show-fueled infatuation with having it all and telling it all? This may be reading too closely. But Zagajewski himself enjoys careful rethinking. 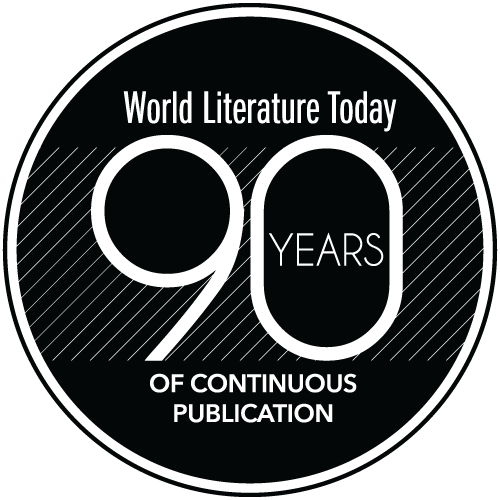 Readers of his previous prose works—especially Two Cities, Another Beauty, and A Defense of Ardor—will recognize some familiar themes in this new book (originally published in Polish in 2011) and will also recognize that these themes will never be exhausted; his intellectual conundrums can never be solved. Zagajewski’s thinking thrives on traveling through cycles of reconsideration. He picks up a topic, pushes it forward, lets it go, and presently finds it again. In a beguilingly modest admission, he claims that even as a student of philosophy, he was never a true philosopher, lacking the talent for ironclad logic and absolute rationality. Precisely for this reason, we should not expect linearity from Slight Exaggeration. Instead, this is a book in search of a form. Too straightforward to be branded belles lettres, it is too digressive to be called an exposition or even an autobiography, the genre to which it is closest. Its miniatures (anecdotes, thoughts, impressions) likewise cannot be called essays. Zagajewski relaxes into this unnamed form, opening his sections conversationally—“Let’s return to” this, “But once more on” that. The mature poet clearly relishes the stylistic liberty he allows himself, and here lies much of the book’s charm: even as it ambles along its meandering path, its author keeps a close eye on the “big” themes that guide him. Indeed, it is a relief to have a contemporary author so openly show us how his mind works, with no pretense of academic objectivity or absolute correctness. It is a slight exaggeration, then, to say that Zagajewski is himself displaced, and we must admire his courage in drawing lines between historical facts and hard-to-define mental states. He has not been victimized by history as much as some. Indeed, his bilocational lifestyle is enviable. Many writers—Seamus Heaney, Derek Walcott, Chimamanda Ngozi Adichie—have realized how enriching it can be to move between two very different countries. Yet Zagajewski’s imagination is most at home in Poland. Perhaps this is partly due to his slightly romantic notion that “the paradox of life is such that only loss can give it meaning”—and where his loss is, there will his heart be also. The greatest loss of modern times may be the loss of religious faith in the secularized West. Zagajewski is one of many elegists of the spiritual imagination, and this is the grandest theme of his book. He regrets the omnipresence of irony in Western culture; he confesses to “religious yearnings” and realizes all too poignantly that such confession invites ridicule or condescension. The real world is rich and sustaining, yet its very richness may conduce to belief in a higher realm. Zagajewski wishes our contemporary culture were more open to admissions of such yearning. He may overstate our predilection for “flat, ironic writing” (after all, there is plenty of yearning, as well as genuine faith, in modern literature). Yet his point cannot be denied by the toughest-minded academic. And here is the great gift of Slight Exaggeration: it dares to illustrate the emotional, irrational, and utterly human way the mind works. It admits to feelings that must be understood empathetically instead of intellectually. It exposes the limits of rational intellection and the profundity of our emotional complexities. 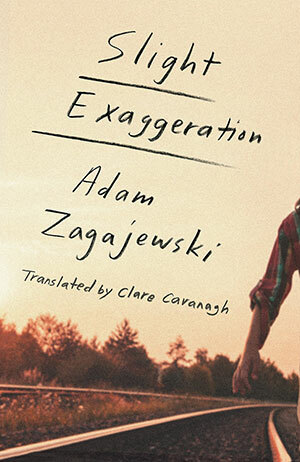 This book is best approached without narrow expectations, with a readiness to follow Zagajewski on the twists and turns of his contemplative journey. 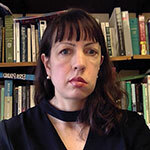 Magdalena Kay is an associate professor of English at the University of Victoria. She focuses on modern and contemporary poetry and has written three books, most recently Poetry Against the World: Philip Larkin and Charles Tomlinson in Contemporary Britain (2018).